What is Simply Supplements Iron 14mg? Iron is one of the most abundant metals in the earth’s crust, and as a nutrient, it is one of the most studied and well-understood minerals. Simply Supplements Iron 14mg provides iron in a highly absorbable form, and a single serving provides enough iron to meet the needs of healthy adults. Iron is an essential mineral, which means that the body cannot synthesise it for itself, and it, therefore, needs to be provided by the diet. Iron is required to produce healthy haemoglobin - the protein within red blood cells that carries oxygen around the body. As a result, iron supports the transportation of oxygen and nutrients to cells around the body. Iron also plays an important role in normal energy-yielding metabolism, and for this reason, many people find that iron tablets can help energy levels. Low levels of iron can reduce the body’s production of antibodies and weaken the immune system, and may also lead to anaemia or feelings of tiredness and fatigue. Who Can Benefit from Taking an Iron Supplement? A supplement is a convenient and reliable means of ensuring an adequate intake of iron, and Simply Supplements Iron 14mg can be taken by anyone who is concerned about getting enough of this important mineral. Iron is lost through menstruation, and there is evidence to suggest that a significant percentage of adult women in the UK do not consume adequate iron on a daily basis. The best sources of iron in the diet are primarily animal foods, and consequently, vegetarians might be at a greater risk of developing iron deficiency. 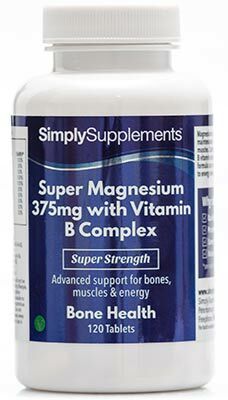 Simply Supplements Iron 14mg is suitable for those on a vegetarian diet, and can be used by this population group to safeguard against an insufficient intake. As we advance in age, there is a gradual decrease in the efficiency of our digestive systems, and elderly people can sometimes find it difficult to maintain a satisfactory iron status, even if their diet is rich in iron. Simply Supplements Iron 14mg provides iron in a highly bioavailable form, and can be used by seniors to maintain healthy levels of iron. Simply Supplements use only the finest ingredients, and all our products are manufactured in the UK by our supplier to the stringent standards outlined by the Good Manufacturing Practice (GMP). Each of our small and easy-to-swallow Iron 14mg tablets provides 100% of the Nutrient Reference Value (NRV), and this product is suitable for vegetarians. Simply Supplements Iron 14mg is made with state of the art machinery, using advanced methods of integrated blending and compaction. Thorough auditing and quality control procedures at every step of manufacturing allow us to consistently produce premium-quality supplements at affordable prices. 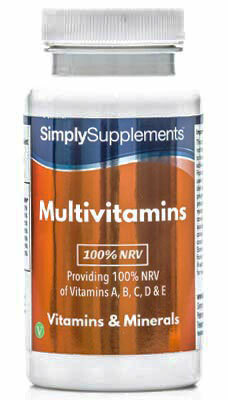 For adults take one to two tablets daily as a food supplement or as directed by a healthcare professional. Store in a cool dry place. Keep away from children at all times. Do not use if the seal is broken.